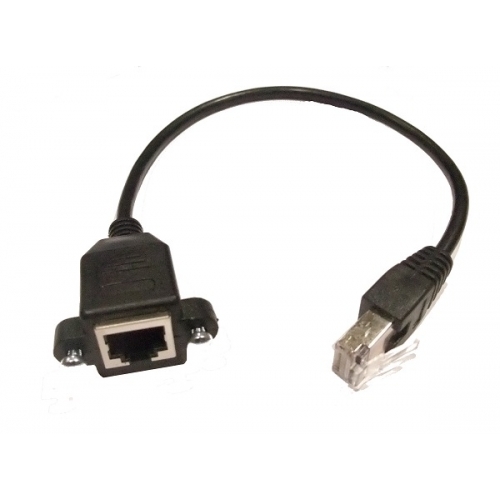 This handy Ethernet extension cable will make it easy for you to enclose a device that has an Ethernet port. We think this would be most useful when putting a Raspberry Pi or Arduino Ethernet into a box. The jack half has two mounting 'ears' with M3x6 screws installed, 0.984" inch / 27mm apart.If you want to reverse the screws around, the plastic can be screwed through but you might need longer scews. Entire unit is 12.5" long but discounting 0.5" for the head of the RJ45 plug takes the practical length down to 12".